Feed a Smile: NOT ONLY THE LAVENDER FIELD IS FEEDING SMILES! 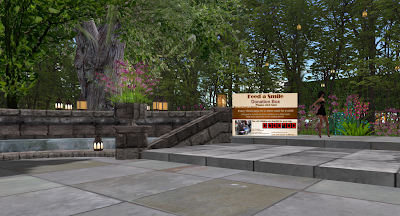 Quite a few venues across the grid have Feed a Smile donation boards up all the time - and many venue owners even organize Feed a Smile events at their clubs and stores. Kudos to them all!!! There is an absolutely GORGEOUS new venue opening up today called l'Esprit and is owned by Tia (tiia.pyrithea). She asked to have a donation board set up - and I jumped right on over :) It is truly a beautiful place to be. Makes me want to talk about renovating again... (wink wink Maria :)). Come and check it out. Besides being stellar - the lineup for the grand opening today is great: Russell Eponym cuts the ribbon at 3PM and then starting at 6PM - Beth Odets, Woodsong, Bluemonk Rau and then KatRose Serendipity closes the opening (nice play with words...) You'll want to be there and feel that lovely feeling - and of course show some Linden love to the kids in Kenya - and to the venue. 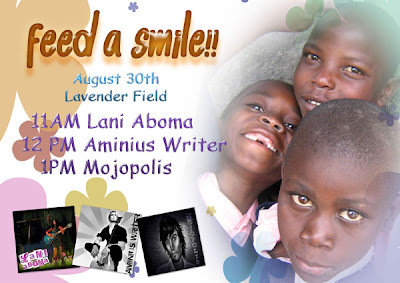 The next event at the Lavender Field will be on Thursday, August 30th. The moon is almost full and Lani Obama, Aminius Writer and Mojopolis will be singing to it. You won't want to miss this super awesome event - especially since it will be Aminius' last waltz before jumping into RL for 3 Aminiusless weeks.... 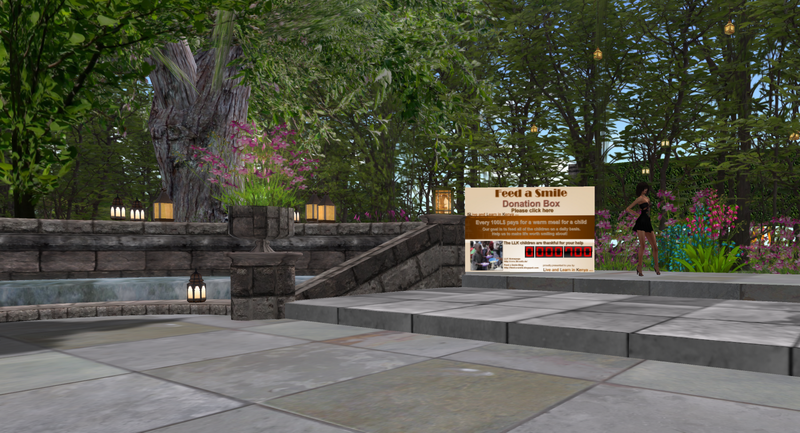 So, take the black horse-driven chariot to the Lavender Field on Thursday at 11AM slt - and set your viewer to midnight!